This package contains fixed textures for Italian Air Force (AMI) to enable using of new armed models.Please read README file for instructions. Royal Air Force Station Valley or more simply RAF Valley, is a Royal Air Force station on the island of Anglesey, Wales, and which is also used as Anglesey Airport. It provides advanced fast-jet training using the Hawk T2 of both IV (R) Sqn and 25 (F) Sqn. BFJT will arrive shortly with the new RAF T6 Texan II, taking over from the Tuncao T1. SARTU is carried out at the base, with the newly delivered Jupiter HT1, taking over from the Griffin HT1. The scenery models the best as currently as we can, NEW Hawk T1 Gate guard, New 202 Sqn/SARTU Ops building and the latest AFCAD as per the 2017 structure update. The scenery has been made using P3D v4, however it may still work in P3D v3, but only v4 can be supported at the moment. We will try to update Valley as much as well can. Any ideas either PM myself, contact on the forum section or contact us via Facebook. Kadena AFB, located on the Japanese Island of Okinawa, is home to the 44th & 67th Fighter Squadrons, the 909th Air Refuelling Squadron, the 961st Airborne Air Control Squadron, the 1st and 17th Special Operations Squadrons, the 33rd Rescue Squadron and elements of the 82nd Reconnaissance Squadron. 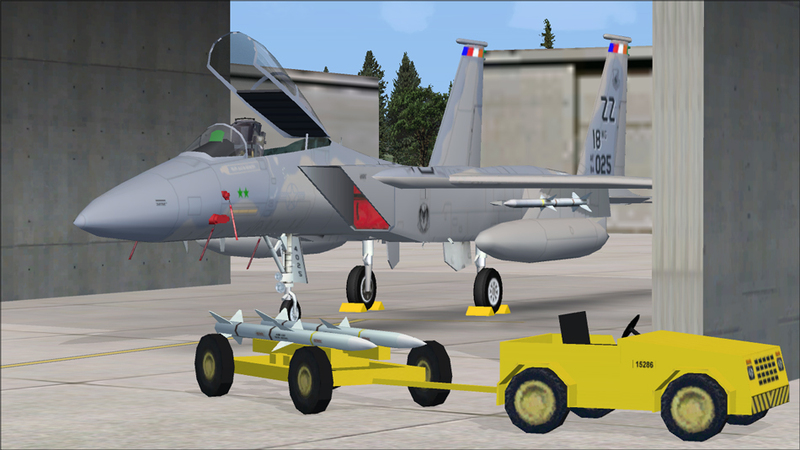 This third version of the scenery finishes up the new Navy ramp, includes JYAI F-15s for the 44th & 67th FS and HTAI C-130s for the 1st & 17th SOS, makes significant changes to several old trouble spots and introduces a new FSX native version of the scenery. 81 Tornado IDS/ECR’s of the German Air Force (Luftwaffe) with 7 load-outs, for use with Gert van Beek’s scenery of Buchel and Schleswig air bases (Included). Flight plans by Giorgio Perotti. 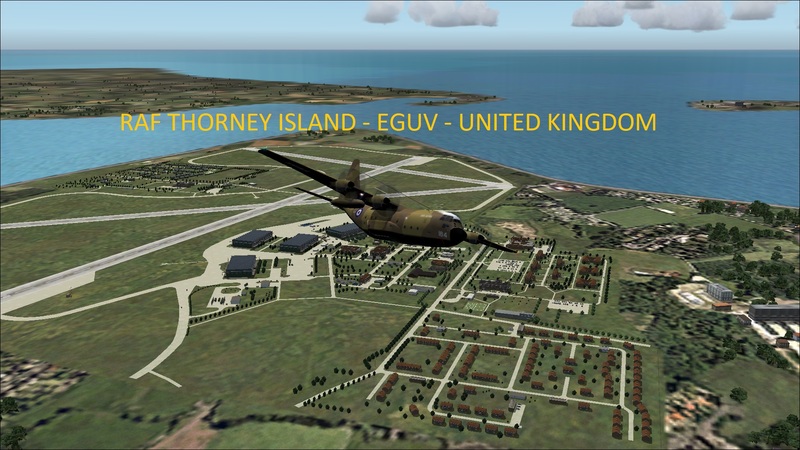 A separate package for FSX and P3Dv4 is in JYAI_Tornados_Luftwaffe_FSX_P3D.zip. 81 Tornado IDS/ECR’s of the German Air Force (Luftwaffe) with 7 load-outs, for use with Gert van Beek’s scenery of Buchel and Schleswig air bases (Included). Flight plans by Giorgio Perotti. 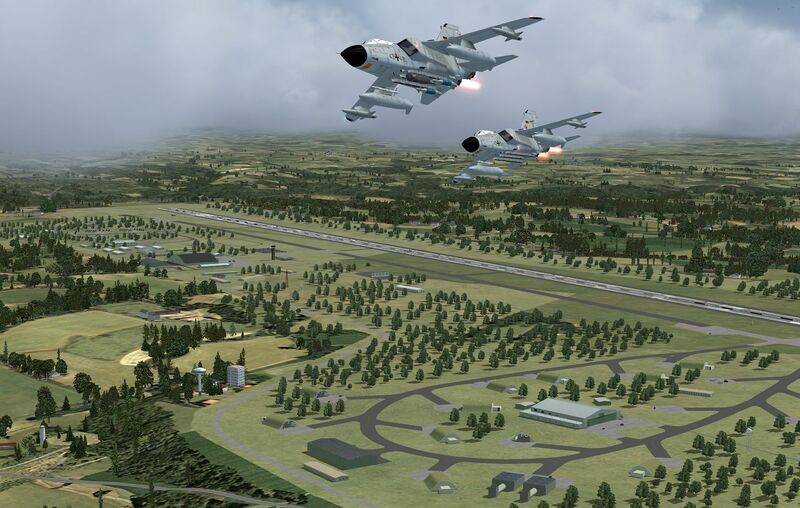 A separate package for FSX and P3Dv4 is in JYAI_Tornados_Luftwaffe_FSX_P3Dv4.zip. 45 Tornado IDS/ECR’s of the Italian Air Force, with 8 load-outs, for use with Giorgio Perotti’s scenery and flight plans of Ghedi Air Base (Included). 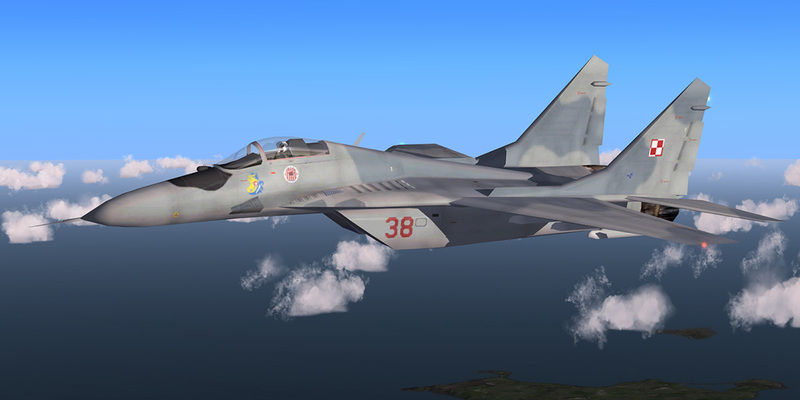 A separate package for FS9 is in JYAI_Tornados_Italian_AF_FS9_1.zip. 45 Tornado IDS/ECR’s of the Italian Air Force, with 8 load-outs, for use with the Giorgio Perotti’s scenery and flight plans of Ghedi Air Base (Included). 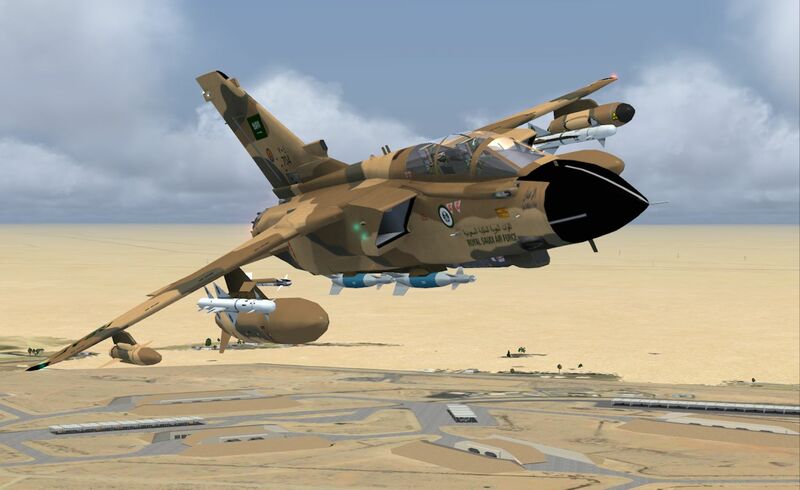 A separate package for FSX and P3Dv4 is in JYAI_Tornados_Italian_AF_FSX_P3D_1.zip. NEW version of the replacement shelters for RAAF Pearce for those who experienced problems with the MKAI shelter file. 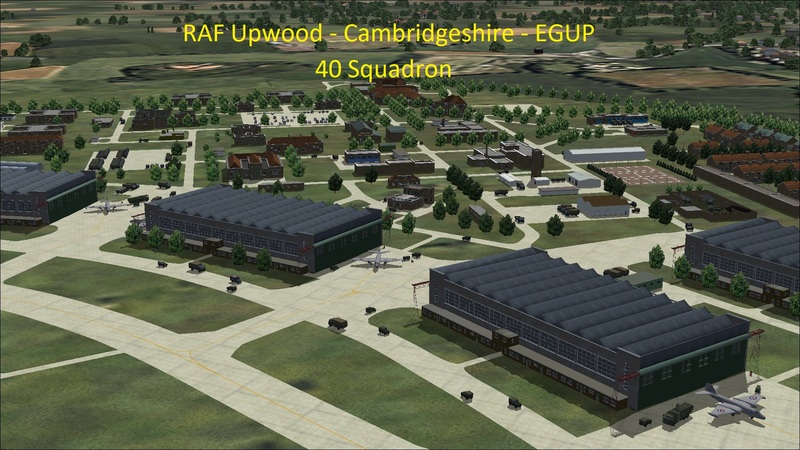 The scenery for RAF Upwood depicts the Canberra era whilst 40 Squadron were based there. 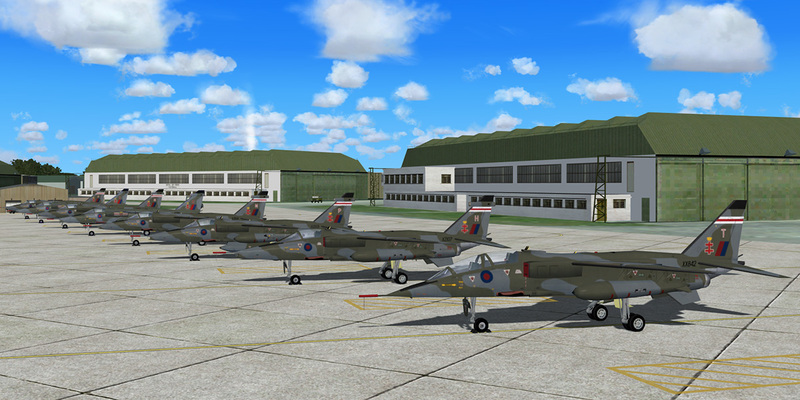 This freeware package, produced by Military AI Works, contains the NBAI Sepecat Jaguars, created by Nick Black and converted for FSX by the team of Henk Schuitemaker. The converted models should give you better frame rates in FSX and P3D and ensure that the models display correctly in P3Dv4.